I know, I announced a Simply Modern Mom store like months ago. And many of you have been asking about it. Well, it got held back by more pressing projects – like the Winter Days Giveaways going now, guest appearances on other blogs, Nathan finishing up his semester, house projects, so on and so forth. Then there’s the fact that I am one of those people who does a ton of research before making a commitment such as opening an online store. But it is finally here. Not completely done since I have other products to add that I have to finish up first. Nonetheless, it’s up and open as of today. May I present to you… The Gift Box by Simply Modern Mom. And the best part is… At The Gift Box, every gift comes with a box. Or some kind of gift wrapping. That’s right. We eliminated troubles of gift wrapping by providing it at no additional cost. To celebrate it’s grand opening, I am participating in Sew, Mama, Sew’s Giveaway Day going on today. It’s a day of giveaways and they have a list of all those participating at their blog. But the actual giveaway is on each person’s individual sites. So here’s mine! Yes, the Winter Days Giveaways is still going on but you get an additional giveaway today! I’m giving away a great stocking stuffer… A set of 3 mustaches to ONE winner, you get to pick which styles you would like. This giveaway ends Sunday, Dec. 6 at 10 p.m. This one is only for those within the U.S.
To enter, all you have to do is give me an honest critique of The Gift Box – what you like, what you don’t like. This would require you to go to The Gift Box and check it out. No critiques? Then let me know which of my crafts (you can check out my MADE page to see them all) you would like to see in my store. That’s it. Good luck! I think you should add those adorable felt animals that are stashed in their own little pouch. Those are adorable! I think that your store looks wonderful and I love the pendants. Bandanna skirts and camera straps MUST be in there. What a fun idea for the kid’s dress up box! Clever. Your Gift Box site is layed out very neatly, which I really appreciate. Perhaps it would help to list the categories of your items in the left side bar for easy reference. What cute stuff! I love the crochet clips! 😀 YAY for the store!! I love the crochet clips…my fave is the green and pink one! Love the glass pendents!!! Gorgeous! I like the colors used on the store page (the same colors here), and the idea that each item comes with a box (this makes them ten times better…at least). I do think the menu at the top of the page (under simply modern mom) with the item options could be centered, but aside from that the shop looks great! The variety of things you sell in your store surprised me, but I don’t think that’s a bad thing. It looks like the place to go to get some great gifts for a variety of people on your list. As for your MADE blog, I love the animal sets in the little holders. So adorable! I don’t know which one I like more: the rabbits, mice, or elephants. I want them all! I also like the animals in pouches. 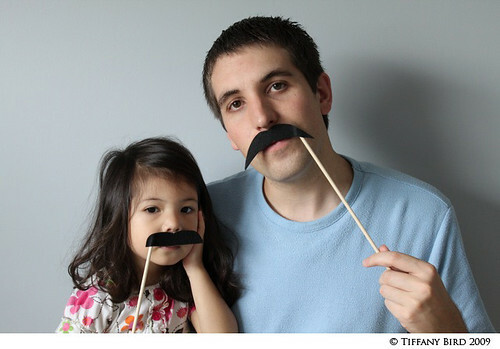 I like to see the mustaches being modeled–maybe those photos could be in your shop? It seems as though you like clean white page design, but the background of your photos is a different shade of white than your page. I don’t know how impossible it would be to make those match… perhaps you could use a grey backdrop for your product photos instead? otherwise, the shop layout looks great! i think you should list those little animals in your shop. the mice/cheese are the best! also, maybe a goatee (sp?) on a stick? I honestly Love your shop! It’s very sleek and modern, and I love the large pictures of the items, just from looking over it, i can honestly say I can’t find anything wrong with it! The crochet ornaments can be found on a lot of other sites/stores or from a mass retailer copycat. The mustaches and the felt animals (the elephant is my favorite) are unique and are more signature items. The Gift Box looks great! Your felt animal sets would be a nice addition to the store. Very cute and I love the mustache set. 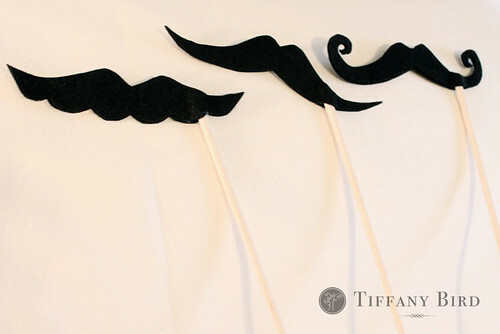 What silly moustaches! I like how you organize your products by type at the top and have a “featured” section. The font that you use in the bottom left of the item box is kind of hard to read – maybe because it’s small? Or the grey background? I’m not sure. But it seems a bit fuzzy. I would have the navigation on the right side of the products. And you need to have the backgrounds in the pictures all be the more peachy tone. Great stuff though! I think the site looks beautiful so no critiques from me. I would love to have the Bailey Clip. It is super cute! If I won this give away I would love to have the curly ended mustache and I would have to order an extra one so that all my children could have one – better yet an extra three so that there would be one for each member of the family. I like the clean look of your store. Do you make everything that is in the store yourself? Or do you feature other artists handmade items too? Leave a Reply to Summer C.